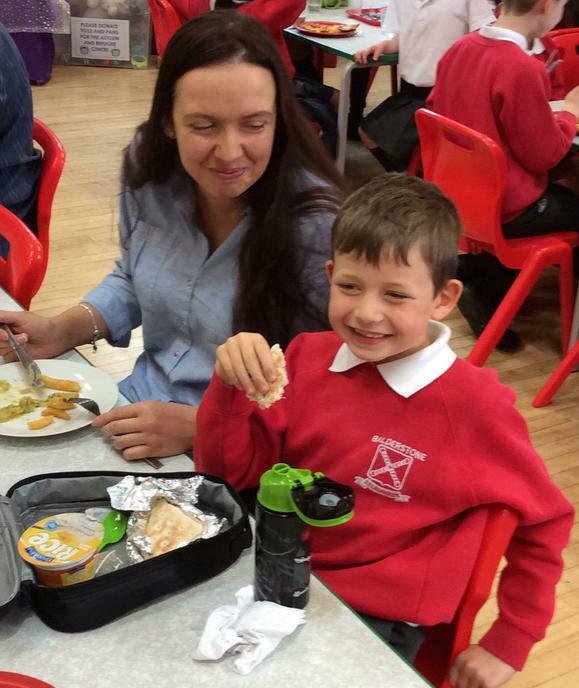 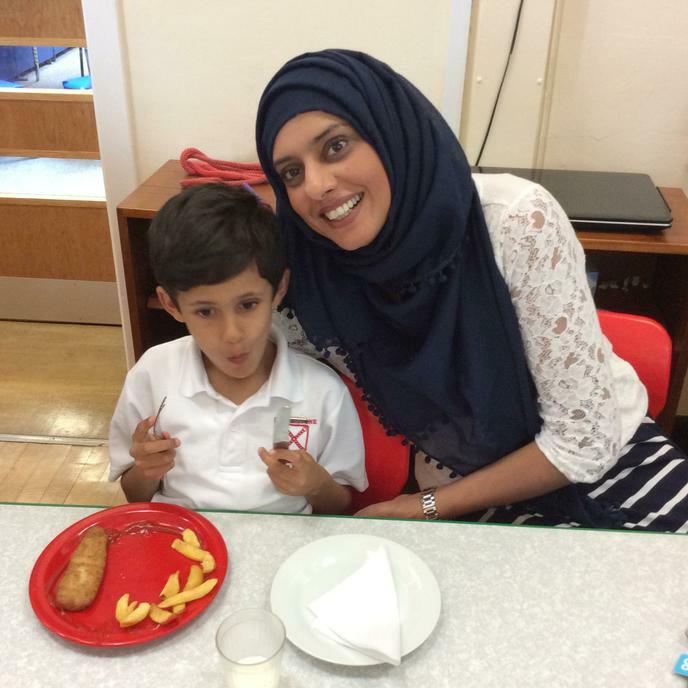 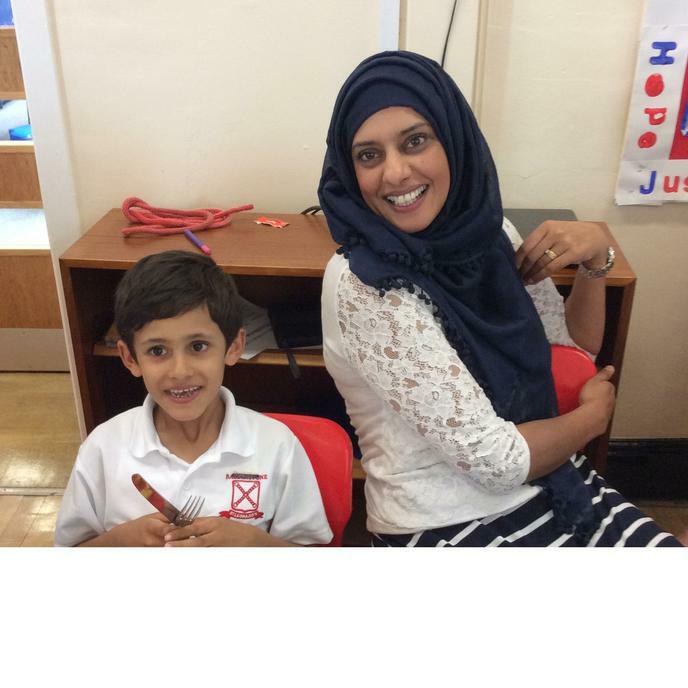 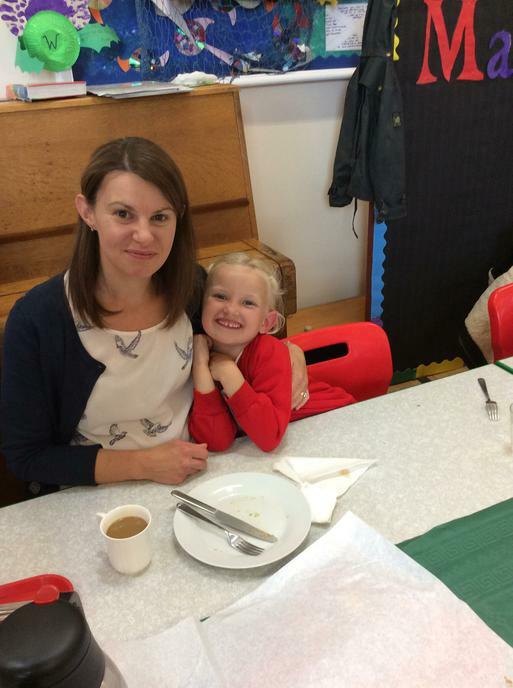 As part of our family fellowship project, Miss Lee and Mrs. Burton have been organising our family friendly lunches. 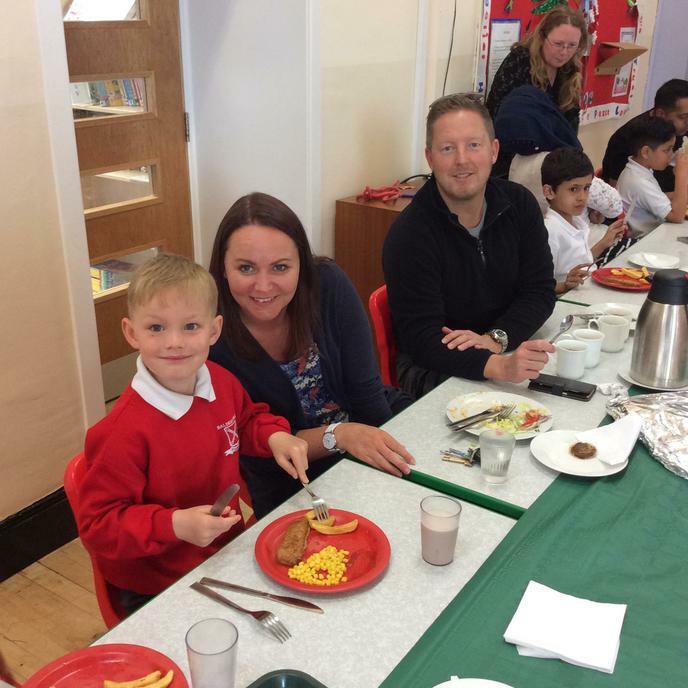 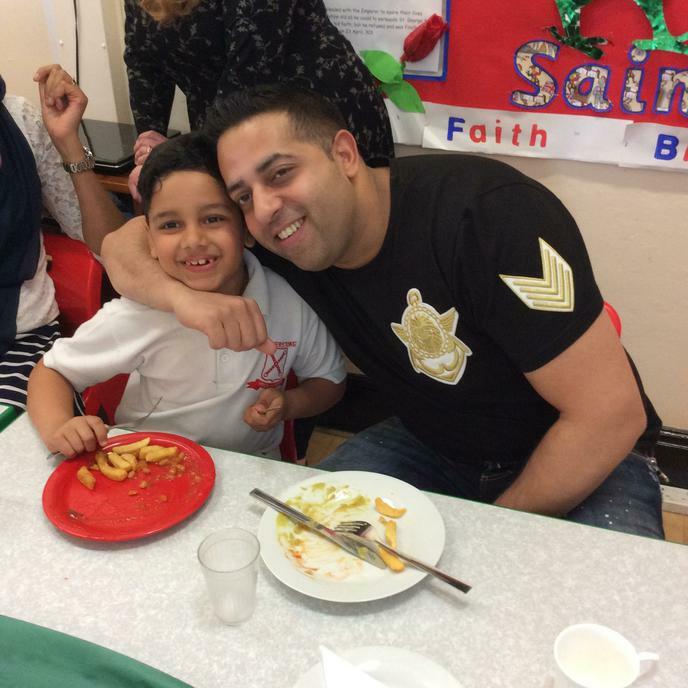 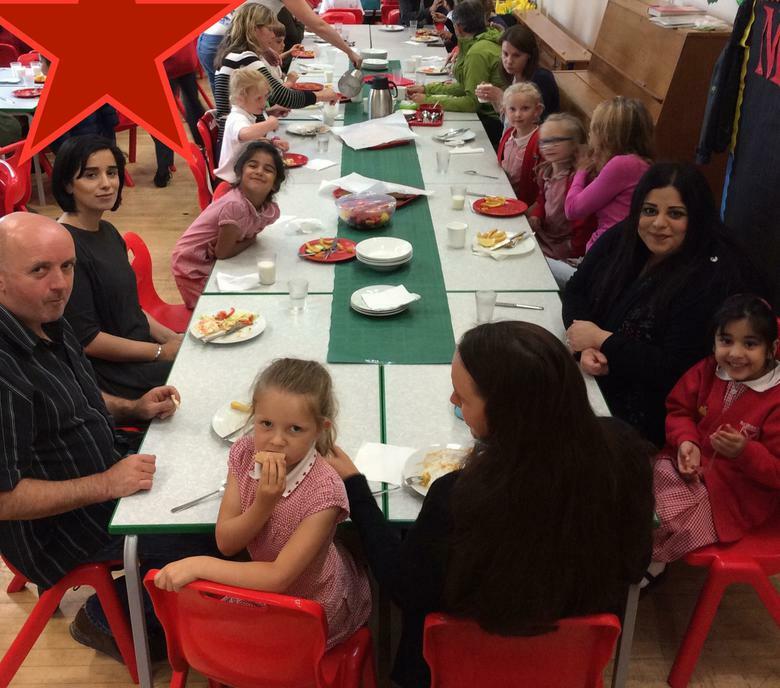 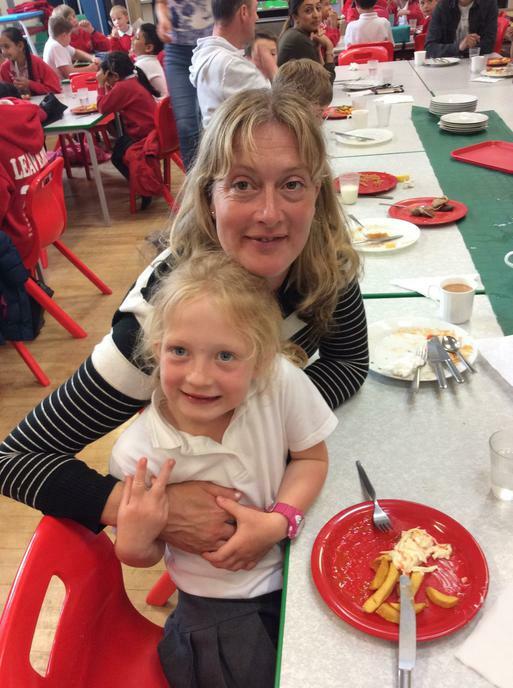 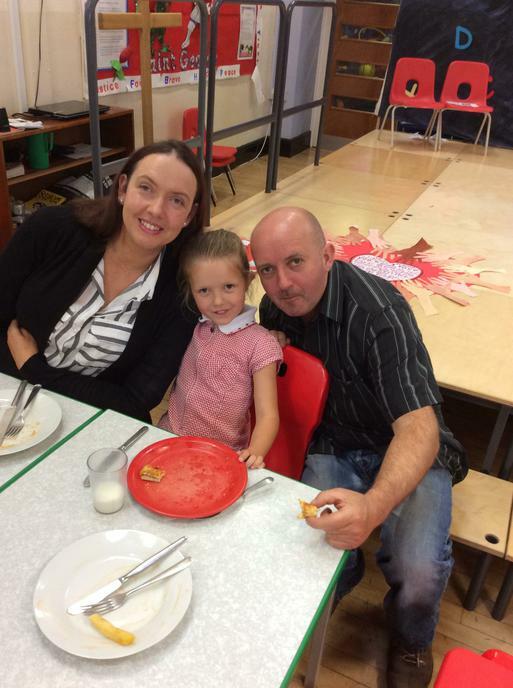 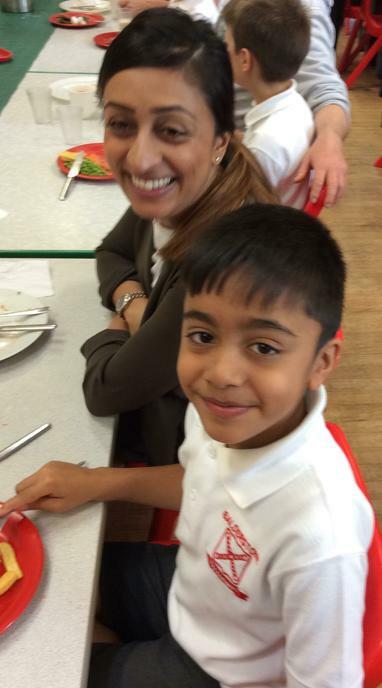 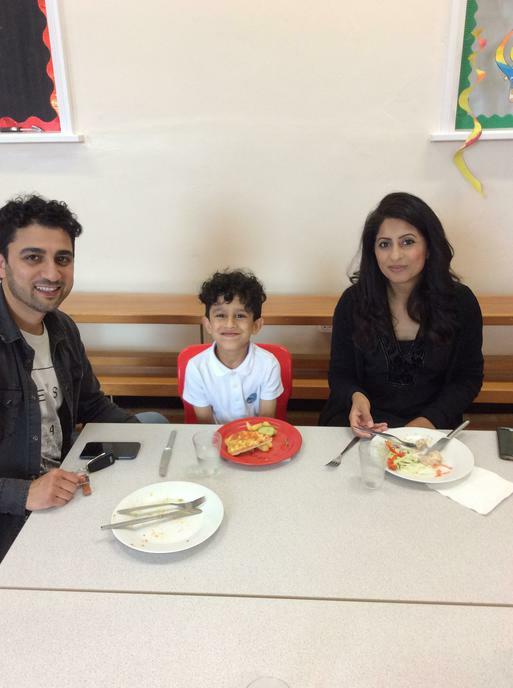 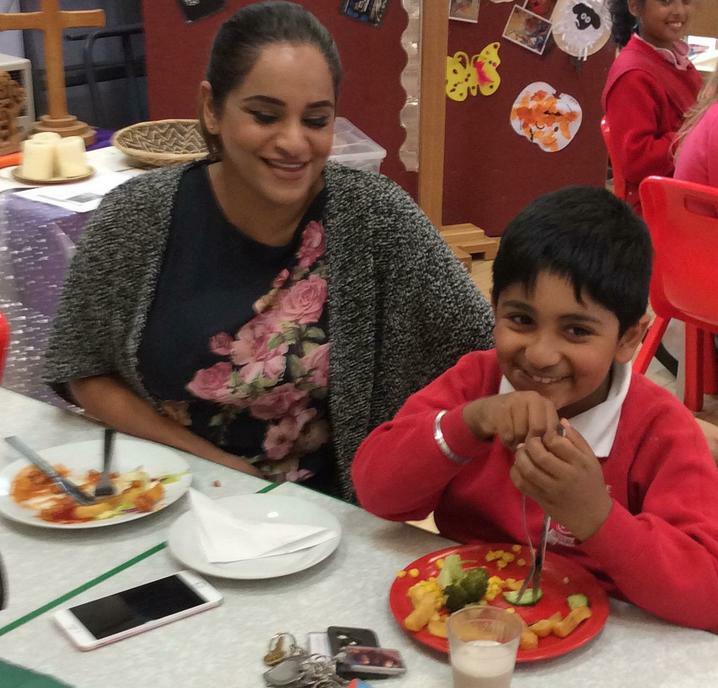 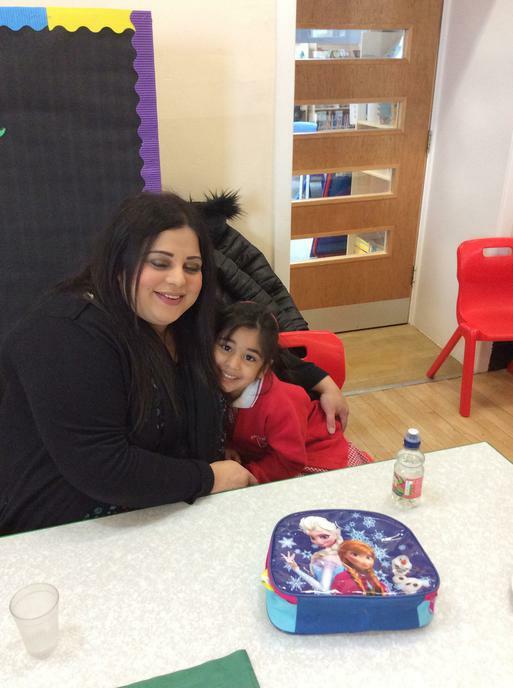 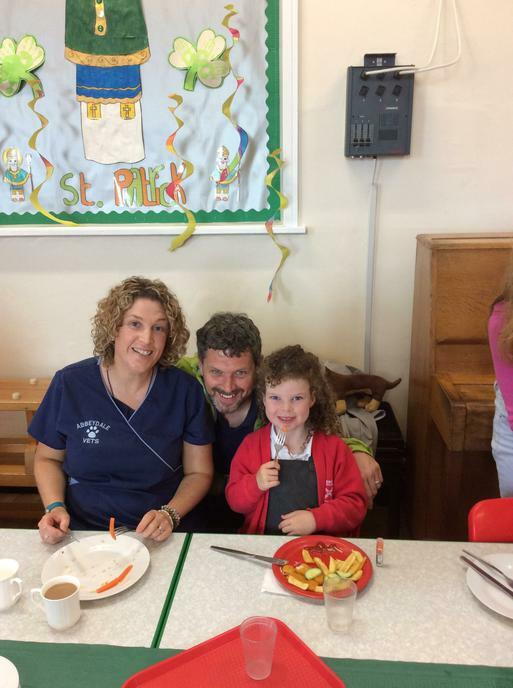 Parents and friends of the school have been sharing a special meal with their children and teachers. 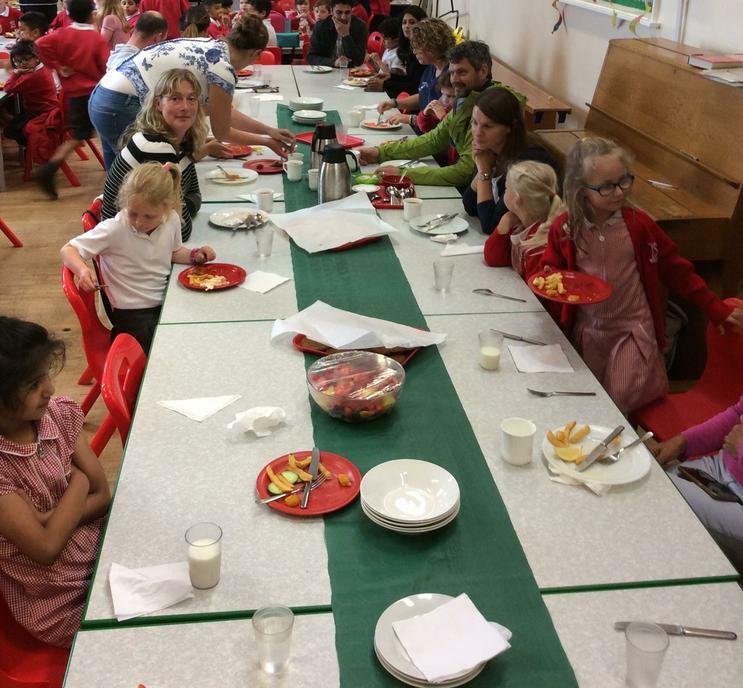 Here we are enjoying some scrumptious food and fellowship time together. 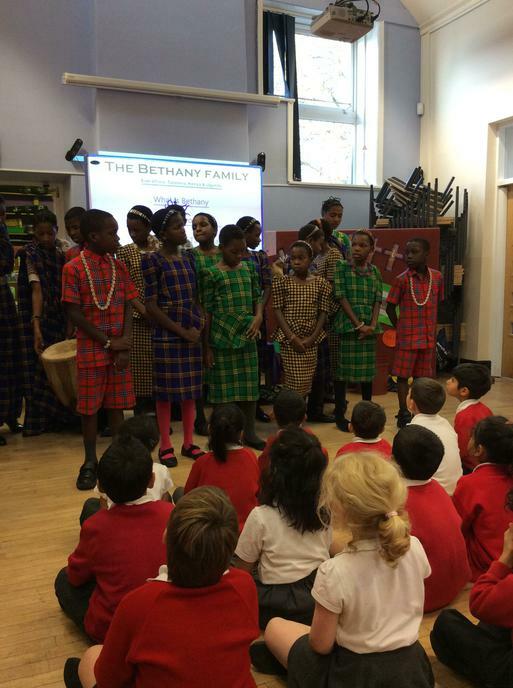 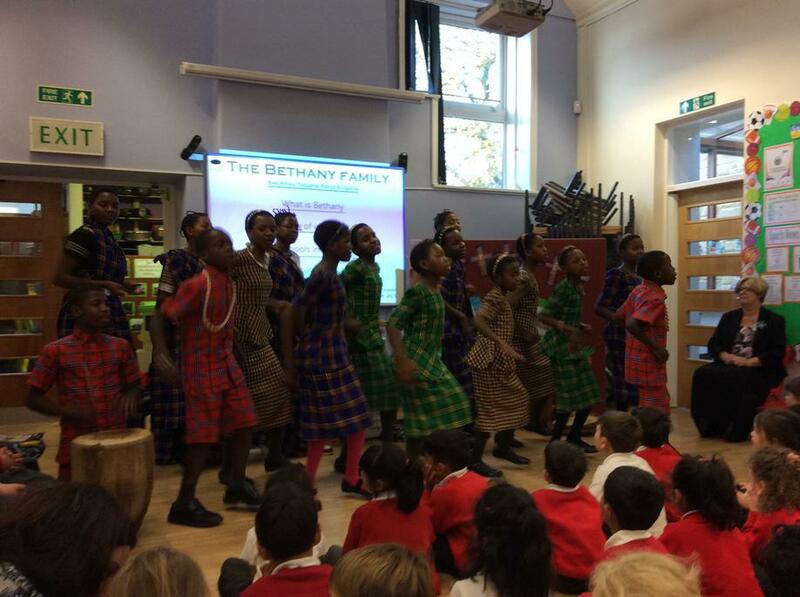 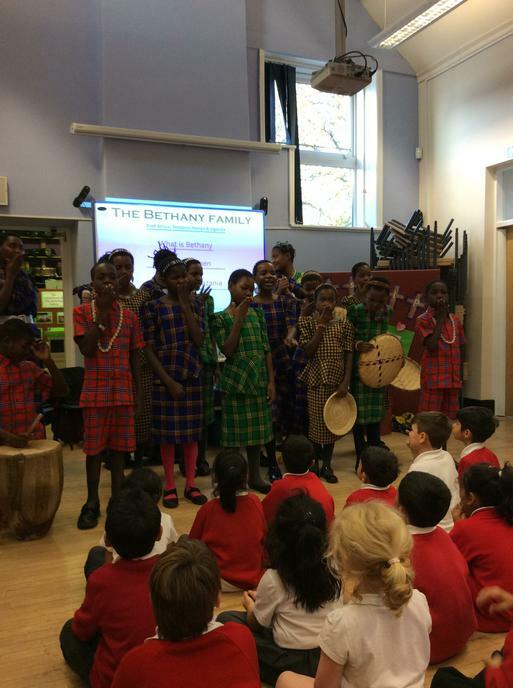 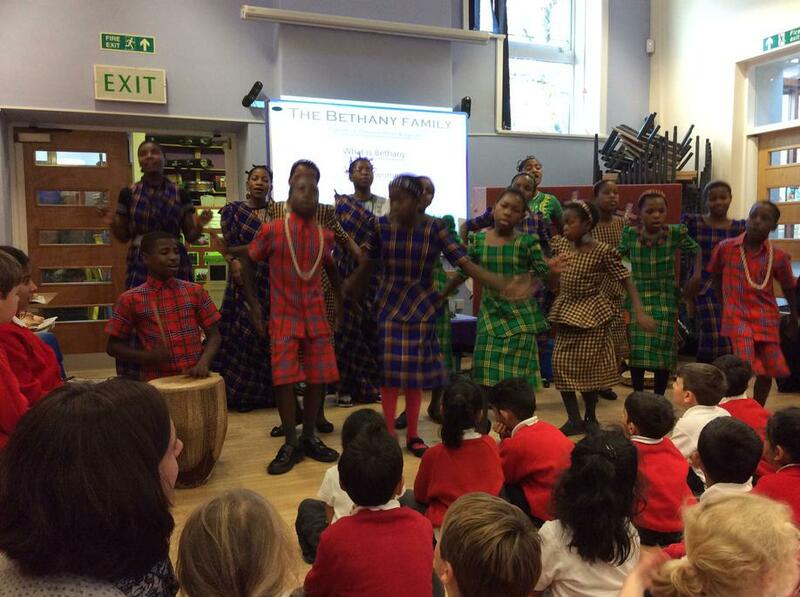 We were truly blessed to have a visit from the Bethany project choir in our worship. 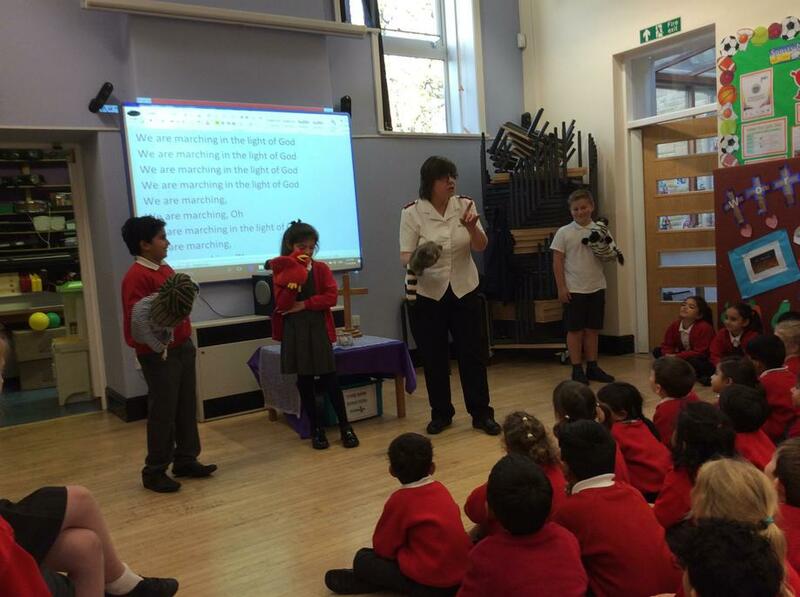 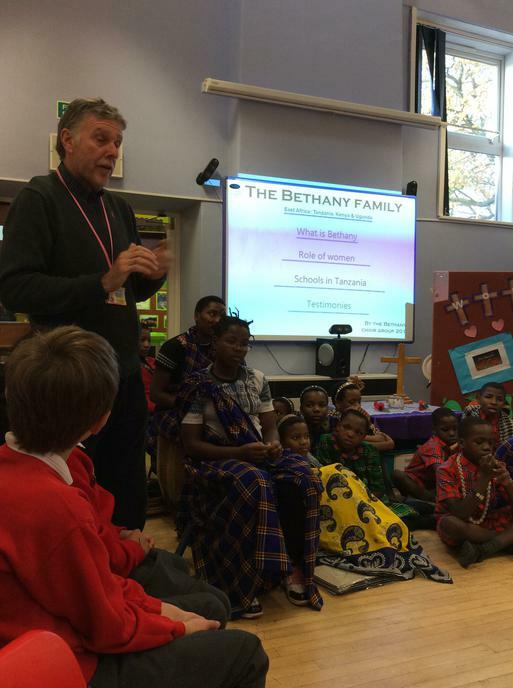 The children shared their own life experiences with us, which made us really think about the many blessings we have and might take for granted every day. 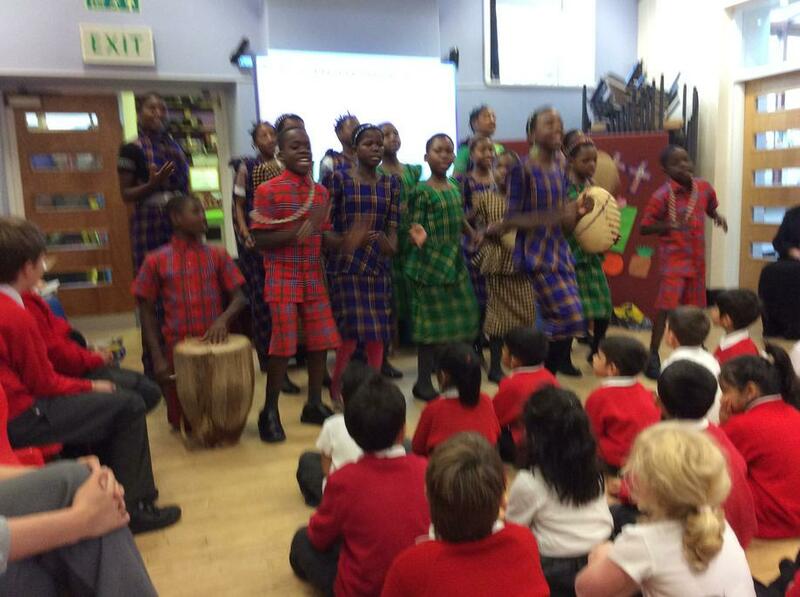 The music, singing and prayer was amazing and the hall was filled with awe inspiring praises. 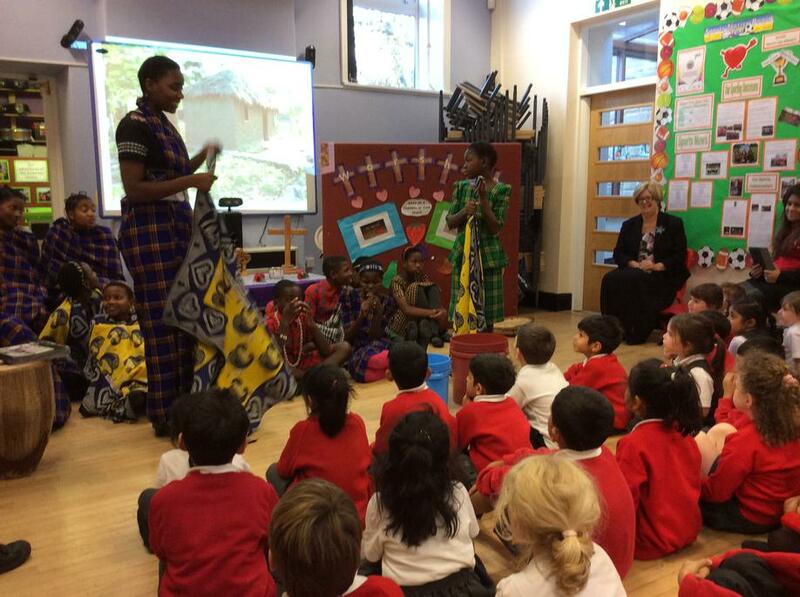 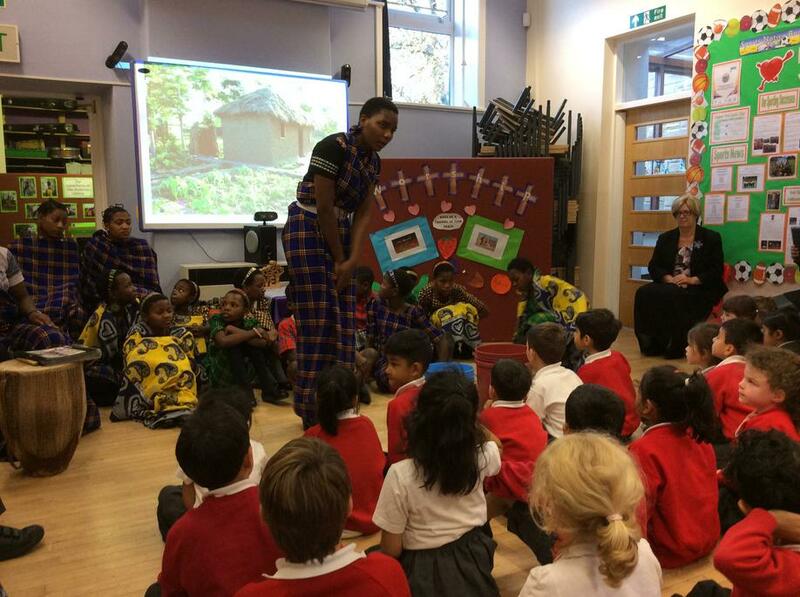 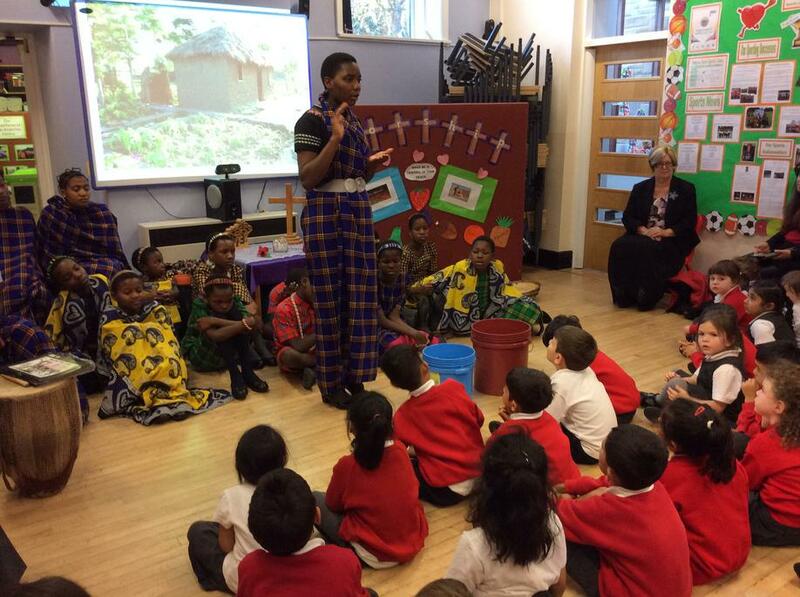 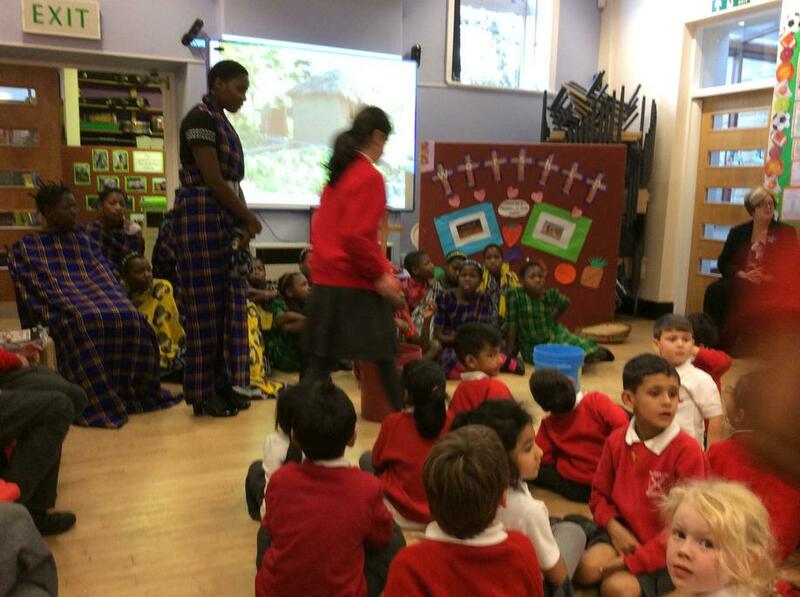 The children presented images of their school, church and houses and we even had a go at carrying the water buckets that the children are expected to carry on their heads! 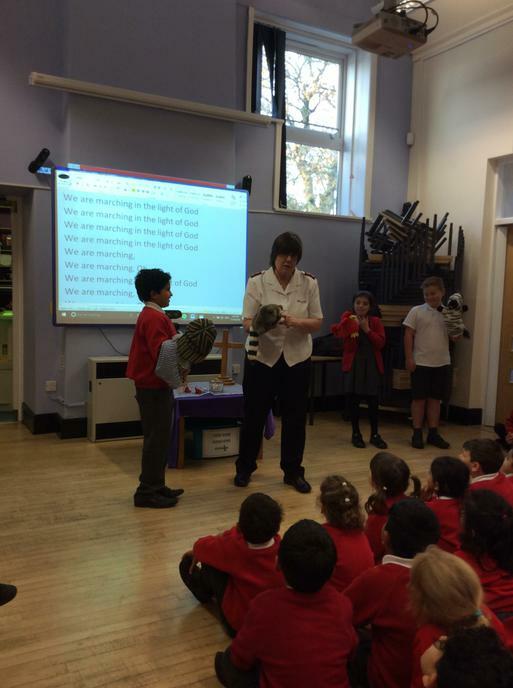 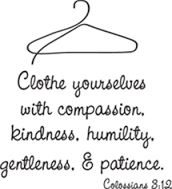 We struggled to simply life them! 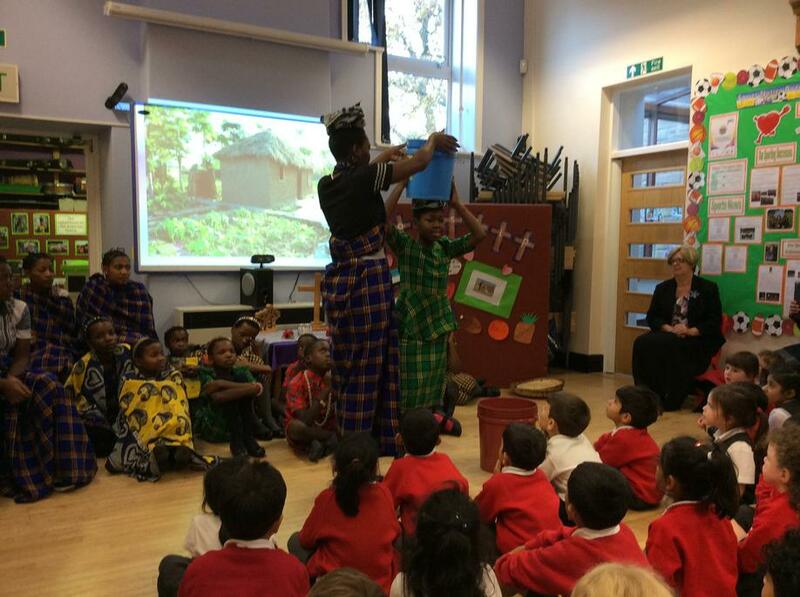 We prayed together as Christians from across the continents and we discovered that despite the many differences in our lives, we also had many, many similarities (we all knew how to dab!) 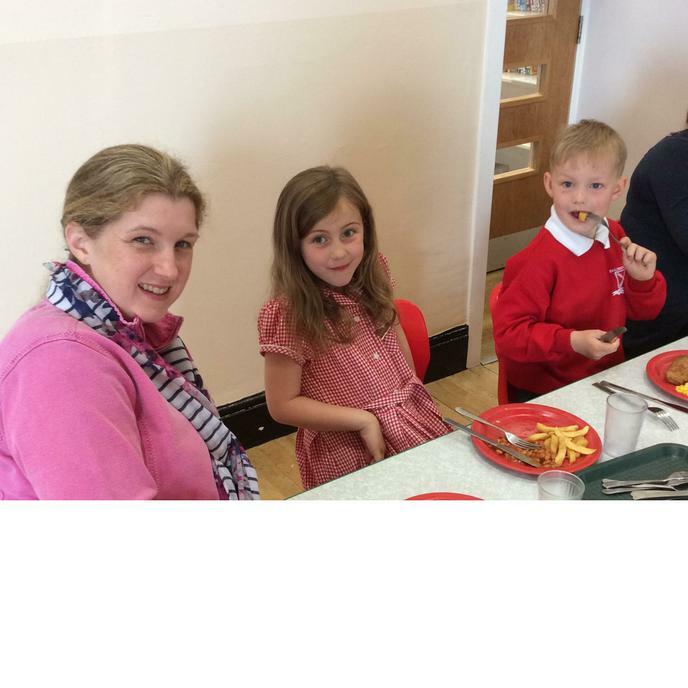 The children enjoyed fellowship with one another and were pleased to share the good news that the school council and fundraising from the cake sale had raised over £120 to donate to the project. 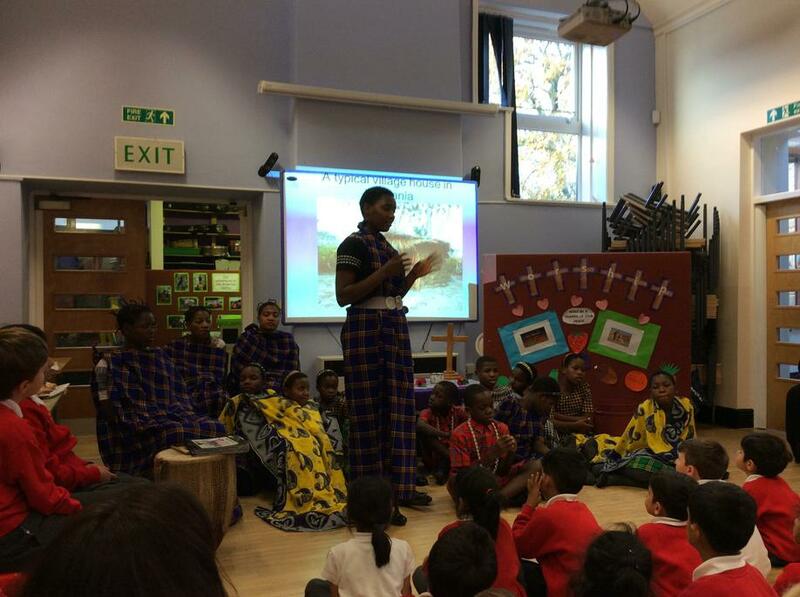 We shall continue to hold our brothers and sisters from Tanzania in our school prayers. 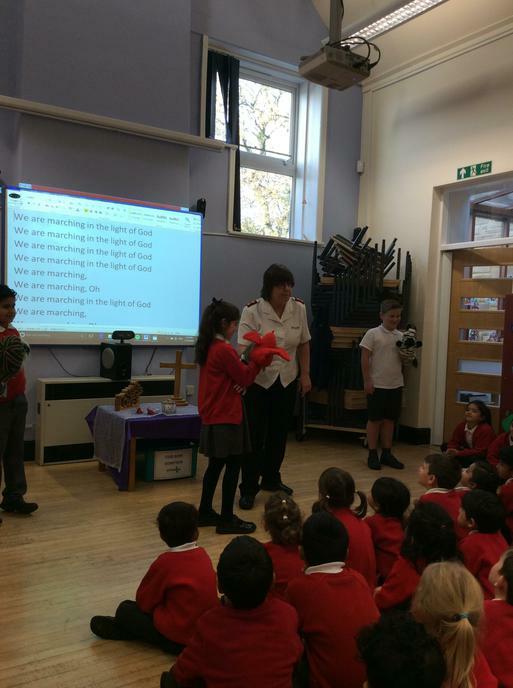 Maggie from the Salvation Army led our Wednesday worship this week to share the work of the Salvation Army with us and how they share God's love and compassion with people in our local area. 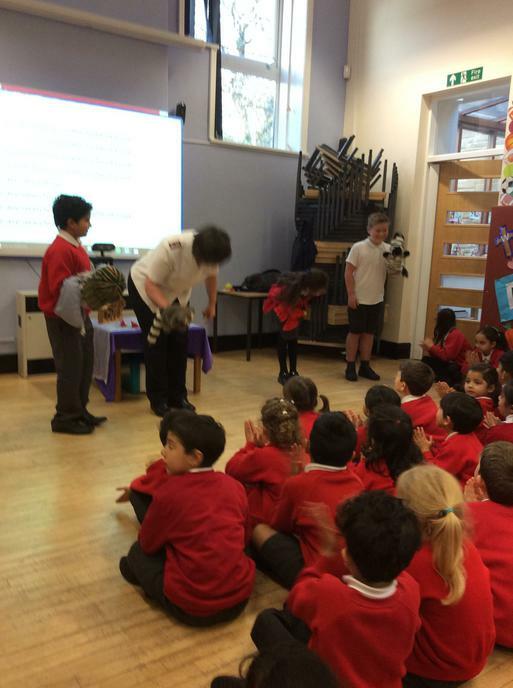 We heard about the work of William Booth and how he started the amazing work of the Army and Maggie showed us how his work links to the story of the Good Samaritan and our values of respect, compassion and helping others regardless of our differences. 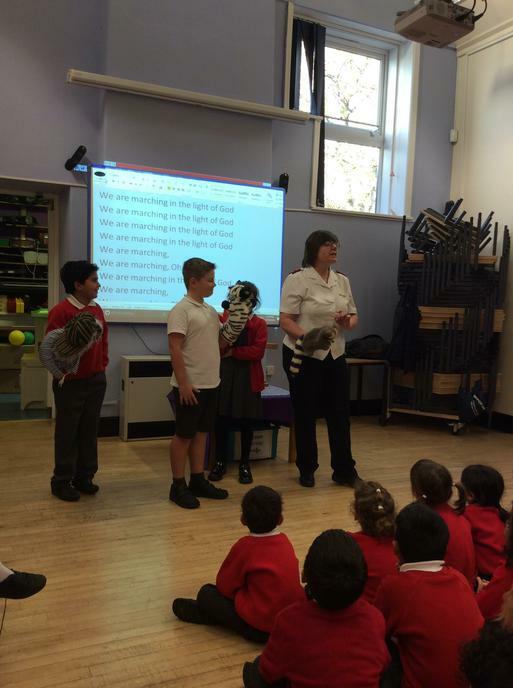 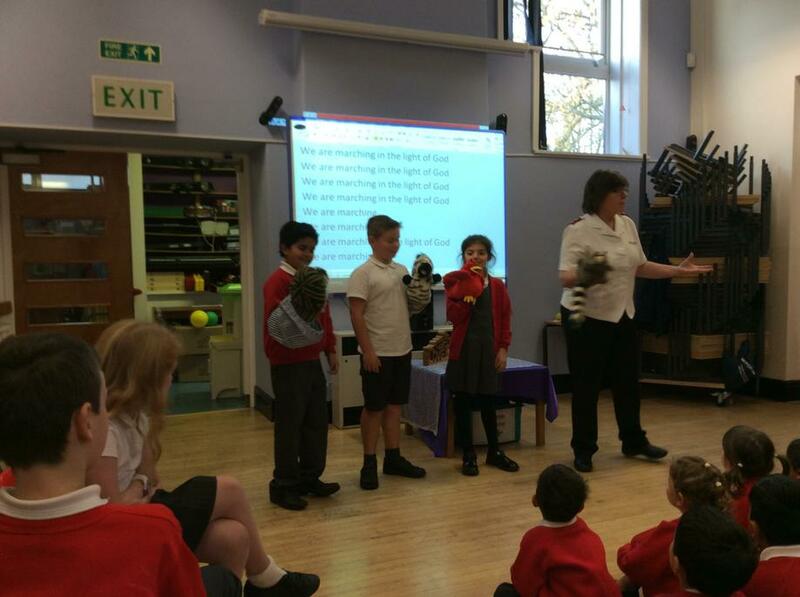 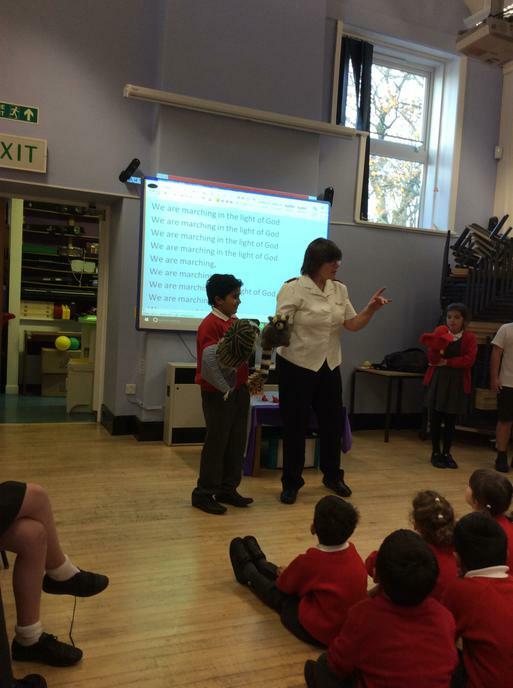 Many thanks to Maggie for coming into school to lead our worship. 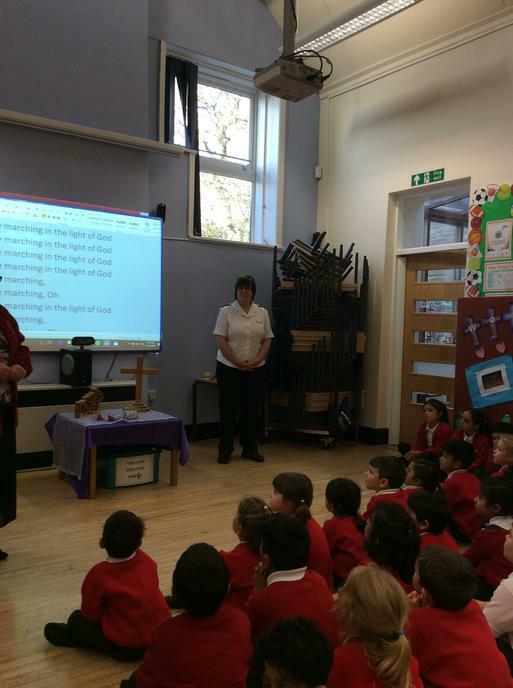 We shall be looking at how school, through school council, can support some fundraising for our local Salvation Army through their food bank.